Ron Lawson is widely regarded as Scotland’s most original and distinctive contemporary landscape painter. His unique and instantly recognisable style has met with an extraordinary response throughout the UK and abroad, where his works of the Scottish Islands and Highlands are enthusiastically collected. Born in 1960, Ron spent his early years on a farm in Mid-Lothian, Scotland before a career took him to the art studio of publishers DC Thomson in Dundee where he progressively developed the dynamic and highly individual palette and technique that is central to his work today. With a passion for dramatic and sparsely populated locations, Ron has spent many years exploring and capturing the wild remoteness and majesty of the Outer Hebrides and Scottish Highlands. 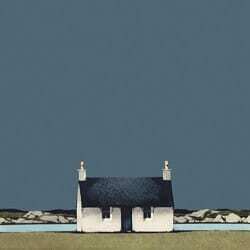 His pictures depict various sceneries including Skye, cottages, blackhouses, puffins, sheeps, farm buildings, Eilean Donan, North and South Uist, Barra, Mull, Tiree, Ulva, etc. In 2010 after 35 years, Ron left his career to concentrate his time fully on painting. 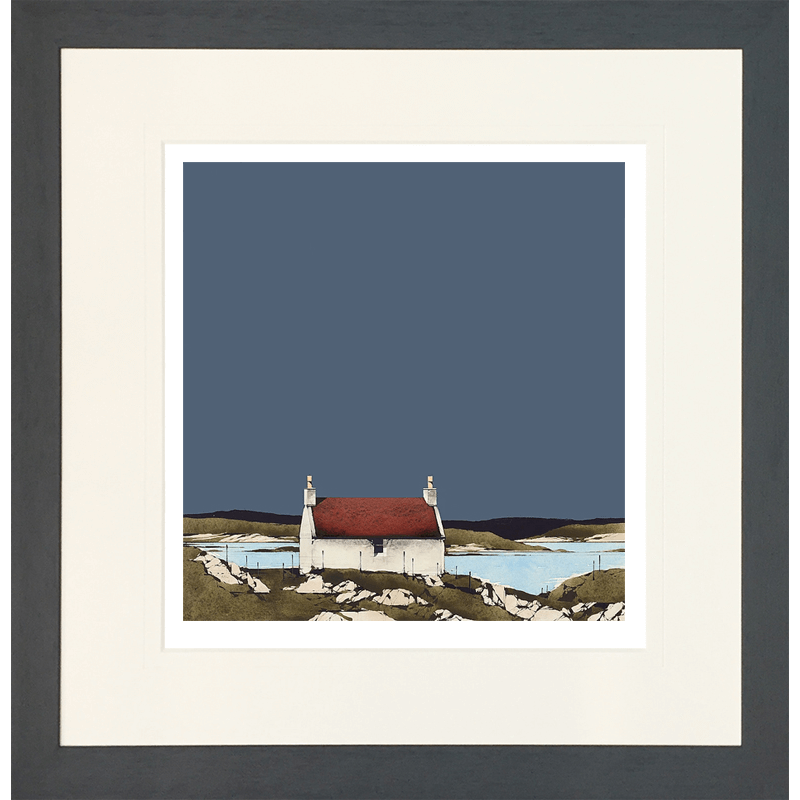 His remarkable, contemporary Scottish landscapes appeal to an international audience, and are included in private collections worldwide. Ron exhibits regularly in Scotland, London and New York. We stock: Original watercolour and gouache paintings, Special limited edition signed prints with original sketches, Limited edition signed prints framed and unframed, small framed prints, calendars and cards. If you are interested in his original paintings, please contact the gallery to note your interest in advance.